I will make justice a measuring line and righteousness a plumb line. Hail will sweep away your refuge of lies, and floodwaters will wash away your hiding place. Few illustrate the submerged complexities of this world better than Barry McCaffrey. . . . General McCaffrey has immersed himself in businesses that have grown with the fight against terrorism. . . . Despite Barstow’s Pulitzer, neither Brian Williams nor anyone else at NBC News ever mentioned any of these groundbreaking stories to their viewers (even as Williams reported on other Pulitzer awards that year); the controversy over the Pentagon propaganda program was simply suppressed. And NBC continued to feature those same ex-Generals as “analysts” — including McCaffrey — as though the whole thing never happened. The last page of his presentation pointedly notes what he called “The American People: A Crisis of Confidence in Institutions.” The accompanying chart showed that 78% of Americans have faith in the military — by far the most admired institution in America — but near the bottom was “television news,” with 28%. We are exhaustive in our conversation with people from various perspectives and expertise when we over a story of this magnitude. And we are confident in the level and breadth of the conversations we are having with representatives from all viewpoints. Council for foreign relations, etc…. Not just current and former U.S. government officials and Generals, but also members of the “Council for foreign relations”: the diversity of viewpoints is staggering. It is interesting to see the sources on whom NBC News executives rely to develop their understanding of the world, and it’s even more interesting to learn what they’re being told about that. The reason Barstow won a Pulitzer Prize for his two stories is because it revealed the merger between the the American media and the military establishment, many of whose members have all sorts of vested interests in Endless War. This meeting and document provides a nice glimpse for how this process continues to function. McCaffrey also purports to compare the military capabilities of Iran and Israel, though Juan Cole this morning has much more illuminating data in that regard. The Salon piece is a woefully inaccurate, ignorant, insulting depiction of our editorial process. Mr. Greenwald has stumbled upon a defining journalistic and organizational tool that differentiates us as a global news organization: our longstanding tradition of editorial board meetings with leading analysts and news makers. He chose to write the piece while not personally having one conversation with anyone from this news organization, so to critique how we do our reporting is quite ironic. 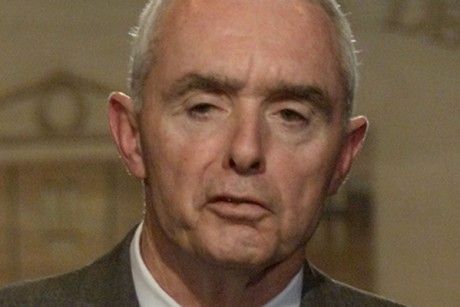 We listen to and value the views of retired Four-Star General Barry McCaffrey. He presented his thoughts on Iran in a recent editorial board meeting at NBC News. As have several senior officials from countries throughout the Middle East that represent vastly different world views. In similar sessions, we have received the views of current and former US government officials. We have been afforded the views of Israeli and other foreign governmental officials. We have heard from non-governmental organizations, respected journalists and opinion leaders. NBC “listens to and values the views of” Gen. McCaffrey despite his ample conflicts of interest and other undisclosed commercial activities which David Barstow won a Pulitzer Prize for documenting, and in this case, those views are absurdly alarmist and fear-mongering. Without identifying from whom else they heard, it’s impossible to assess the validity of NBC’s claim that they invite to their editorial meetings those with “vastly different world views” when it comes to Iran, but suffice to say, both Kapp’s original response (which I quoted in the original article) and this latest one from NBC make clear that it is composed largely of government and military officials and the supporting Foreign Policy Community venues which exist to support them. That’s why it’s utterly unsurprising that NBC has produced junk propagandistic war-drum-beating like this about the Iranian Threat. Note that NBC does not claim that any part of my discussion of its involvement in the Pentagon propaganda program — including the suppression by Brian Williams and the rest of its news division of all discussion of that huge story — is inaccurate. Nor does it dispute any of the facts I conveyed about McCaffrey. Indeed, despite its opening flurry of accusations, NBC does not even purport to identify a single inaccuracy in any thing I reported. Replies like this one — that are long on screeching invective and short on any identified inaccuracies — do more to bolster the validity of the original article than anything else could. UPDATE III: TPM has a good article on this matter which emphasizes why it is so imperative to aggressively scrutinize media behavior on Iran.